Neanderthals are an extinct species, closely related to modern humans. Newer archaeological finds have begun to reveal hitherto unknown information about Neanderthals, promising to modify our understanding of human genetics. BiologyWise lists out some interesting facts about Neanderthals, the species which mysteriously disappeared about 30,000 years ago. Modern humans migrated to Eurasia from Africa about 60,000 years ago. It was in Eurasia that they encountered the stocky and bushy-browed Neanderthals. Recent studies have revealed that modern humans did indeed mingle with the Neanderthals to procreate, because the genomes of people living outside Africa today have been found to contain about 1 to 4 percent Neanderthal DNA. The study of human evolution has always revealed some rather colorful insights on how we came to be. In fact, there have been several occasions wherein latest findings have completely upturned things that we thus far believed to be true. Case in point happen to be the Neanderthals―a species we until now understood to be uncouth and barbaric enough to have become extinct as a result of natural selection. With the emergence of groundbreaking research, we now know that modern humans of Eurasian descent owe about 2 percent of their genes to human-Neanderthal procreation. The Neanderthals' contribution to our genomes may have been modest, but it certainly has proved itself to be vital. ◾ Neanderthal skulls were discovered as early as 1829 in Engis, Belgium. The next find was a skull discovered in Forbes Quarry, Gibraltar. The year was 1848, and the specimen was classified as 'ancient human'. ◾ It was in 1856, that the remnants of a skeleton were found in the Neander Valley near Dusseldorf, Germany. In all, 16 pieces of bone along with a skull were discovered in a limestone cave. ◾ The quarrymen who made the find assumed them to be a bear's bones and passed them on to local authorities. From here, the bones found their way to scientists, and it was eventually determined that they weren't actually humans, but closely related to them. More than 400 Neanderthal bones have been found in the region ever since. ◾ Charles Darwin's "The Origin of the Species" released in 1859 managed to boost the discovery in time. However, it wasn't until 1864 that Dr William King, the Irish geologist, declared it to be a distinct species of human with the name Homo neanderthalis in preference to Homo stupidus, the alternative offered by German biologist, Ernst Haeckel. ◾ Neanderthals, as we now know, had a complex culture with individuals boasting of some phenomenal hunting skills. Why then, were they always portrayed as uncivilized brutes? ◾ The H. G. Wells story, The Grisly Folk published in 1921 described the species as "beasts" who deserved their fate of being exterminated by human migrants. Other instances where they were portrayed as ugly, hairy, and stupid are not too hard to find. ◾ This unjust perception was helped in part by French paleontologist named Marcellin Boule, whose recreation of an entire Neanderthal skeleton in 1911 was grossly erroneous. His version was a specimen with a curved spine, a stoop, bent knees, with head and hips that jutted forward. 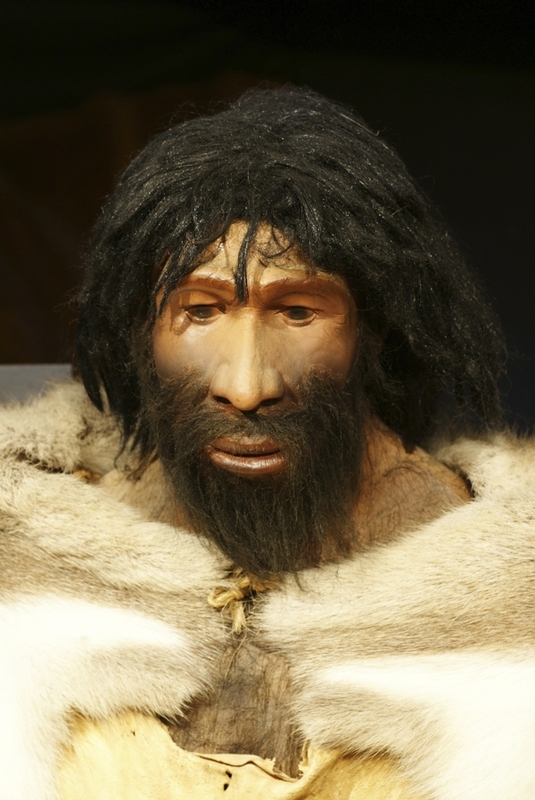 ◾ Not only was this a complete misrepresentation of an actual Neanderthal, but it later came to light that Boule had let his preconceived notions of them being beast-like overtake scientific objectivity while recreating the specimen. What Did the Neanderthals Really Look Like? ◾ Neanderthals were broad-chested and strong. They had rather prominent facial features, with a bulging brow ridge and a protruding nose; but they did not have a chin. Also, they were not as hairy as they were perceived to be. ◾ The nose was large―an adaptation which was believed to have helped them breathe easily while chasing prey in the harsh cold. ◾ The size of a Neanderthal brain was bigger in comparison to a modern human's. ◾ They were stocky, and were unable to run too fast. However, this was compensated by their sheer physical strength―Neanderthal females had bigger biceps than the average male human today. ◾ The short, stocky body helped them conserve heat―an adaptation which helped them survive the plummeting temperatures of their land. ◾ Neanderthals were extremely muscular, another adaptation brought on by the harsh environment of the Ice Age, with individuals developing muscles right since late childhood. ◾ Neanderthals were carnivores through and through, and their diet mainly comprised bison, auroch (an ancestor of the cattle of our times), deer, reindeer, and ox. ◾ Needless to say, these people were highly skilled hunters, and quite aggressive at that. A high rate of head and neck trauma seen on the recreated specimens suggests that they tackled big animals up close and probably got thrown off them quite often during these skirmishes. It is possible that they trapped the prey in ditches before closing in with their spears, ultimately killing it at close range. ◾ Contrary to previous beliefs, the Neanderthals did have a proper social structure. They were known to have lived in small but isolated groups. After studying the remains found in a cave at La Chapelle-aux-Saints, in southwestern France, it is understood that they conducted burial ceremonies for their dead. Discoveries of elderly or deformed Neanderthal skeletons seemed to indicate that they took care of their sick and aged ones. ◾ Neanderthal tools had an element of finesse to them, and they must have imparted these skills to their children. Hunting was integral to their survival, and it is safe to assume that the young ones learned it from observing their elders. ◾ The presence of the hyoid bone which holds the voice box in place suggests that they were indeed capable of speech, however basic it might have been. Did they Disappear or Not? ◾ With the appearance of modern humans in Europe about 40,000 years ago. 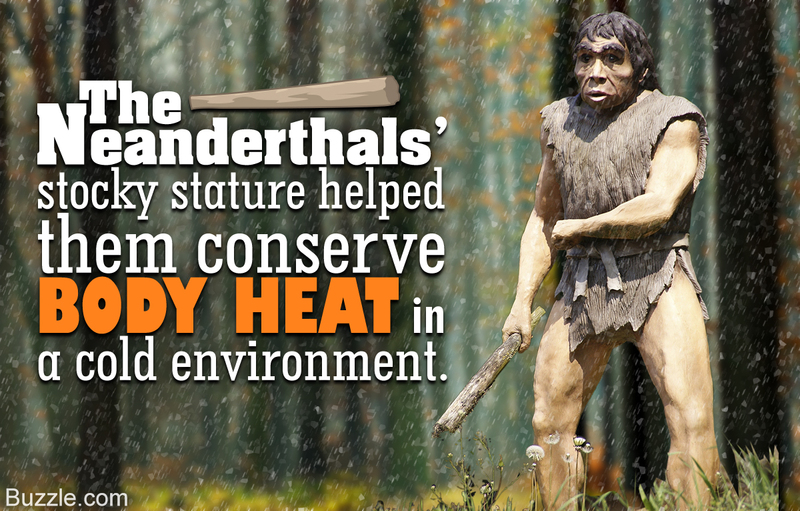 the Neanderthals faced direct competition with our ancestors for resources. ◾ Some researchers harbor the belief that Neanderthals didn't go extinct. Instead, they interbred with moderns, contributing genes to modern Europeans.